Acts and Regulations - None specified. Tolerances and Guidelines - None specified. Certification is not required, however, USDC can provide General Health Export Certificate and Fish Certificate of Origin. Salted and dried fish must be packed in boxes lined with either greased paper or tin, and the boxes must weigh no more than 50 kg. Processed fish products are subject to detailed regulations concerning additives, artificial coloring and content, etc. Certification Requirements - None specified. These instructions establish and implement a procedure, which will assure national uniformity in the completion and issuance of the USDC SIP Export Health certificate unique to the product and shipment to Australia for computer-based certificates. Requests for Inspection: Whether received by e-mail, telephone, fax or in writing, the information requested on NOAA Form 89-814, Request for Inspection Services, must be obtained from the applicant. If a written request contains the information necessary to perform the inspection, a NOAA Form 89-814 needs to be completed by SIP personnel prior to performing the inspection. The written request or NMFS-completed NOAA Form 89-814 will be filed with the file copy of the certificate as part of the permanent record. Completing the Export Health Certificate: The certificate is prepared by transferring to it the pertinent information taken from its accompanying request and observations made during the inspection. In the case of HACCP QMP facility, the requesting firm will provide the information. All certification should be done via the NOAA SIP online certificate system. Only as an option when the system is certification for information required in fields located on the documents. The certificate will be printed on official USDC watermarked paper only. Choose appropriate Export certificate for unique product and presentation of product. Ensure specific attestations listed on certificate have been met for each consignment. All consignments must have the Australian Import permit, a USDC SIP Lot inspection and a USDC SIP Export Health certificate unique to the product and shipment. All firms requesting an export certificate to Australia must be listed as an Approved Establishment in the USDC Seafood Inspection Program. This is a requirement at the request of the Australian authorities for the appropriate use of the attestations on each US export certificate. General instructions for Completion of Australia Prawn certificate. I.28 requires both the batch ID information and which batch definition is applied. The batch definition options are located in the corresponding footnote. This information must be listed for each product. II.2 requires a single selection made to indicate which animal health attestations apply to the shipment. II.2 If the request is for prawn products of non-US origin which have transited through or further processed in the US, these products would be permitted import into Australia, provided that NOAA is able to certify to all the attestations on the health certificate. The validity of the attention chosen shall be verified by documentation issued by the competent authority of the country of origin. Import of fish products is subject to the Australian Food Standards Code developed by the National Food Authority. Labels must be printed in English and contain information regarding content, weight, additives, manufacture, trademarks and country of origin. Certification is not required; however, USDC can provide General Health Export Certificate and Fish Certificate of Origin. A Health Certificate for fish and fish products exported into the Republic of Belarus is required. Exporters should contact the issuing authority for United States, USDC NOAA Seafood Inspection Program, prior to export to make arrangements to obtain certification. Country of Origin must be declared. All foodstuffs imported into Bolivia must be registered annually with the National Health Department. Food Regulations specify permitted preservatives and additives in canned products. name and address of the importer, agent or representative. In January 2010, Brazilian Ministry, The Department of Fisheries and Aquaculture Control published aquatic health regulations on the fishery products into Brazil. These new regulations are within the scope of their authority under OIE and WTO guidelines and are currently in effect. The Seafood Inspection Program (SIP) will continue to issue certification to those US facilities that have applied to be part of the USDC SIP program upon lot inspection and will give industry until December 30, 2011 to become a participant under the program. The purposes of the new regulations are to protect wild and farmed resources and to maintain their health status in order for Brazil to export fishery products to the other countries. Brazil will require importers in Brazil to obtain import permits prior to bringing seafood products into Brazil; US exporters to be under the US competent authority control; US exporters to submit prior facility approval; product shipments to have US competent authority documentation. The Brazilian regulations request that the export certificates be bilingual with English/Portuguese text. This Regulation has been suspended until further notice. SIP will be requesting the approval of a bilingual certificate for US Exporters use until a Brazilian model is agreed upon and approved. The USDC NOAA Fisheries Seafood Inspection Program (SIP) is the competent US authority for aquatic health certification for wild-harvested seafood exports (live and products) intended for human consumption, as per MOU between NOAA Fisheries and USDA/APHIS. Issue SIP Export Health certificates for all shipments. (English/Portuguese certificate to be Approved) The standard US Export Health certificate designed for Brazil will continue to be issued. US Exporters will be required to follow the guidelines listed below for the exportation of fishery products to Brazil. After Facility Registration is approved, the US facility must identify a Brazilian importer and complete a label registration process. All inspected product must have the SIP Export Health certification for Brazil prior to shipment. These requirements are the procedural points as agreed to by NOAA Fisheries through the US Embassy/USDA for Brazil during March 2012 meetings. Then choose: Pais: "Estados Unidos"
Every time it generates an updated pdf list. Use the following instructions as guidance for completion of the Label Submittal processing. The plants must be registered in MAPA’s system, and then the companies can apply for the label registration. The company needs to request access to the system. (This will be done via regional offices providing USDC HQ a letter from each company which is then forwarded to USDA Brazil). Copy of the personal ID (driver license or passport) of the person that will be in charge for the registration process of the specific plant. After that, MAPA will grant authorization for that person(from the requesting company), who will be in charge for the label registration process and securing all the files. Under this process, MAPA will not request any additional certification/information/letter from the competent authority. Each company will be responsible for inserting the information in the system regarding the label and will receive the result on the system via e-mail. We (USDA Brasilia) can facilitate the access in the system for the companies. You can ask them to contact me directly and we will guide them. 1.0 ppm for carnivore fish. The Brazilian legislation on sanitary inspection of animal products, RIISPOA, since 1952 through Decree No. 30.691, considers as improper for human consumption fish that contains massive muscle infestation by parasites, which may or may not harm the health of the consumer. RIISPOA was updated through Decree 9.013 / 2017 dated March 29, 2017, duly informed to the WTO, which provides provisions on clearer fish parasites and in agreement with the current scientific literature. Article 212 establishes the obligation of visual verification of injuries attributable to diseases or infections, as well as the presence of parasites through monitoring performed by qualified personnel of the establishment. The Canadian Food Inspection Service (CFIA) has requested that the U.S. Department of Commerce (USDC), National Oceanic and Atmospheric Administration - Seafood Inspection Program (NOAA - SIP) advise its U.S. exporters that wild marine fish and seafood products for human consumption destined to Canada must originate from the U.S. or a country that is approved to export that product directly to Canada, as identified in the Automated Import Reference System (AIRS). These instructions establish and implement a procedure that will assure national uniformity when completing and issuing aquatic animal health certificates for products shipped from the U.S. to Canada. As a reminder, U.S. Exporters always should consult with the Canadian importer on current specific requirements. U.S. Exporters are advised to check AIRS to determine if the seafood product requires an aquatic animal health certification with the import permit and, if the originating country is approved for export to Canada. Aquatic animals listed as susceptible to regulated diseases (http://www.inspection.gc.ca/animals/aquatic-animals/diseases/susceptible-species/eng/1327162574928/1327162766981) require an import permit to enter Canada. This measure is aimed at protecting Canada's aquatic animal resources. Enforcement of these requirements were phased in and came into effect either on December 10, 2012, February 4, 2013 or April 8, 2013 depending on the specific end uses and the applicable HS codes. Provided below, is further detail of these requirements. The three U.S. federal agencies that function as Competent Authorities for exported aquatic animals (USDA-APHIS; NOAA Fisheries; and Fish and Wildlife Services [FWS]) have worked with the Canadian Food Inspection Agency (CFIA) on specific export requirements that will facilitate continued U.S. trade in aquatic animals and products with Canada. In many cases, regionalization has been established and animals can move without a health/zoosanitary certificate from the origin. As of December 10, 2012, an import permit issued from CFIA and possibly a health certificate from NOAA-SIP / APHIS / FWS must accompany each shipment. As of April 8, 2013, CFIA has enforced the third and final phase of Canada's aquatic animal import requirements, which applies to animals intended for Food Service, Retail Use and Further Processing (i.e., human consumption). The NOAA SIP and USDA negotiated with CFIA, the health certificate for live molluscs intended for Food Service, Retail Use and Further Processing. As a result of this negotiation NOAA-SIP now endorses all live marine molluscan shellfish certificates destined for Canada for the end uses of Food Service, Retail Use and Further Processing. March 2019, NOAA SIP has been advised by CFIA to update its guidance to U.S. exporters and NOAA inspectors on the aquatic animal health import requirements for re-export of fish and seafood products that are of non-U.S. origin. Specifically, products imported with a CFIA aquatic animal health import permit, from non-U.S. origin countries identified as Refuse Entry in AIRS are not permitted to be re-exported from the U.S. to Canada. (i.e., For the Export of Live and Dead, Wild-Harvested Finfish and their Germplasm and Crustaceans for Bait and Feeding to Aquatic Animals from the United States of America to Canada). At the present time these certificates are issued similar to the EU in that neither a lot inspection nor HACCP QMP eligibility is required. Shipments requiring this certification will fall under a random audit or random inspection approach as directed by HQ. The certification requirements for Canada pertain to Aquatic Animal Health and not food safety. The purpose for these requirements is to address the protection of Canada’s aquatic resources. Not all seafood products require Aquatic Animal Health certificates. Certification is focused on specific seafood products, from specific areas shipped to specific locations in Canada and the end use by the Canadian importer. All wild marine fish and seafood products for human consumption destined to Canada must originate in the U.S. or from a country that is approved to export that product directly to Canada. This guidance only applies to products that require a CFIA aquatic animal health import permit. Exporters are advised to check the Automated Import Reference System (AIRS) to determine if a wild fish and seafood product requires an aquatic animal health import permit and, if the originating country is approved for export to Canada. Although it is not required by Canada for Food Safety, occasionally we issue the standard Export Health certificate for Canada via SISP upon request by customer. The certificates will be printed on official USDC watermarked paper only. Facilities that intend to export animal products and by-products defined as rendered products by CFIA to Canada must complete a CFIA facility questionnaire. The purpose of the Questionnaire is to identify ruminant and/or SRM cross contamination risks. An annual on-site inspection by the endorsing Central Competent veterinary authority is required to verify that the information provided within this questionnaire is complete and accurate as presented. Note: No questionnaire is required for fish oil. A completed questionnaire is required for all other commodities listed as "rendered products" within the import policy: TAHD-DSAT-IE-2002-10-10 Animal Health Import Requirements for Raw Inedible Products and Rendered products. Please read and follow the instructions found within the CFIA Facility Questionnaire for Animal Products and Animal By-Products (APABP) document and submit the completed questionnaire to the appropriate CFIA office, along with the import permit application required. Facilities wishing to export fishmeal, fish oil, and other aquatic animal proteins to Canada must be audited at least once yearly. The facilities management controls and responsibilities; feed safety programs; sanitation and prerequisite programs; and quality systems will be audited according to the Policies, Procedures, and Requirements for the Approval of Facilities and Systems (available on the SIP website). During each audit, a minimum of 5 verification samples collected randomly from multiple lots of finished product will be collected aseptically by SIP auditors and sent to the National Seafood Inspection Laboratory to test for Salmonella and Enterobactericeae. Testing for ruminant protein: For facilities that handle only fisheries products, PCR testing (by a laboratory approved by APHIS or NSIL) for ruminant protein will be required annually. For facilities that handle other animal proteins as well as fisheries products, PCR analysis for ruminant proteins will be required for each shipment of fishmeal to Canada. All fishmeal, fish oil, and other aquatic animal proteins (used as feed and feed additives) to be exported from the United States to Canada must meet the requirements listed above. A statement indicating “no cross contamination with proteins other than fish” is required on each certificate issued. For facilities that only handle or store fish for export to Canada, certificates may be based upon an USDC annual audit program. Specific name of the product, net weight or volume in metric units, date of manufacture or packing, designation "imported product", and the name and address of the importer, agent or representative. Certificate of Legal Origin is required. Exporters should contact the issuing authority for United States, USDC NOAA Seafood Inspection Program, prior to export to make arrangements to obtain certification. All firms requesting an export certificate to China must be listed as an Approved Establishment in the USDC Seafood Inspection Program. All consignments must have been produced in an USDC Approved Establishment and be certified by Lot Inspection or processed under an approved Quality Management Program. A USDC SIP Export Health Certificate unique to the product and shipment must be issued prior to departure from US. In addition, The People's Republic of China (PRC) will require that all importers of seafood products be registered and listed on the CNCA list by April 30, 2013. Firms that are not registered and listed after that date will not be allowed to import seafood. The Food and Drug Administration (FDA) Center for Food Safety and Applied Nutrition is responsible for managing the list of US firms that ship to the PRC. Please contact the regional FDA office for registration. Please refer to following link for currently registered importers from both the US and internationally. *All foreign sourced materials used in US produced product must come from a CNCA approved facility. PRC maintains a Food Catalog in which all Processed Aquatic Products that are approved for import into PRC from US are listed. For quick reference purposes link here for the PDF of the US approved Aquatic Products list as of 7/13/2017. These instructions establish and implement a procedure which will assure national uniformity in the completion and issuance of the USDC SIP Export Health certificate unique to the product and shipment to the People’s Republic of China for computer- based certificates. The bilingual Export Health Certificate is used for certifying non-live fishery products for export to China. The bilingual Export Health Certificate –Live product will be issued for Live fishery products intended for direct human consumption for export to China. A. 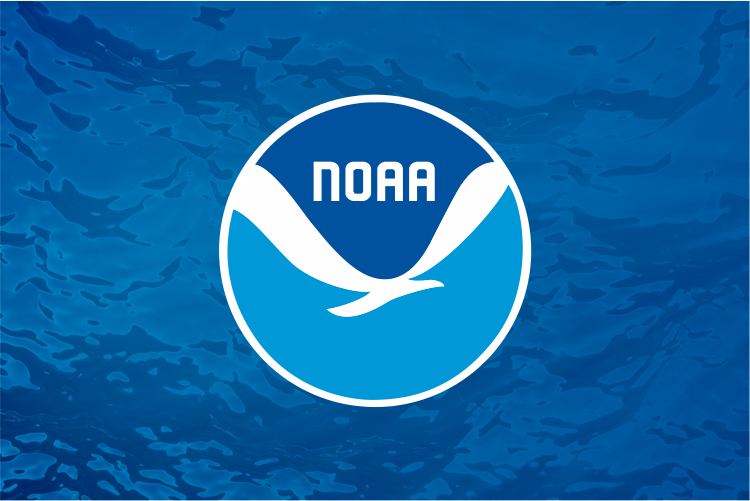 Requests for Inspection: Whether received by e-mail, telephone, fax or in writing, the information requested on NOAA Form 89-814, Request for Inspection Services, must be obtained from the applicant. If a written request contains the information necessary to perform the inspection, a NOAA Form 89-814 needs to be completed by SIP personnel prior to performing the inspection. The written request or NMFS-completed NOAA Form 89-814 will be filed with the file copy of the certificate as part of the permanent record. B. Completing the Export Health Certificate: The certificate is prepared by transferring to it the pertinent information taken from its accompanying request and observations made during the inspection. In the case of HACCP QMP facility, the information will be provided by the requesting firm. All certification should be done via the NOAA SIP online certificate system. Only as an option when the system is down or unavailable is a PDF version issued. The directions below are guidance for both the system completion and the PDF certification for information required in fields located on the documents. It is hereby notified that, the experts of Review Organizations reviewed and approved the evaluation documents on safety of 3 new varieties of food additives such as ascorbyl palmitate (enzymatic method), the safety for expanding the scope of use of 8 varieties of food additives such as capsicum oleoresin, and for expanding the scope of use of selenium-enriched yeast food nutrition enhancer according to the provisions of the "Food Safety Law". Spices formulated for food are used in various kinds of foods (except for the food categories listed in table B.1 of GB2760-2014), the right amount is to be used as the production required. Spices formulated for food are used in various kinds of foods (except the food categories listed in table B.1 of GB2760-2014), the right amount is to be used as the production required. Further information on import requirements can be obtained from the General Administration of Quality Supervision, Inspection and Quarantine of the People's Republic of China. Exporters should carefully discuss regulations and their application with Chinese importers to ensure that their interpretation of the regulations is accurate. Effective July 1, 2012 all fish meal, fish oil, and other aquatic animal proteins (used as feed and feed additives) to be exported from the United States to the People’s Republic of China (PRC) must meet the requirements of Administration of Quality Supervision Inspection and Quarantine (AQSIQ) No. 118 Decree (copy attached). According to this decree all manufacturing facilities that produce feed and feed additives must be registered with AQSIQ. In order to be registered, a facility must participate in the NOAA Seafood Inspection Program (SIP) and be approved by SIP to export to the PRC. Approval will only be given if all hygiene and quarantine requirements of the PRC for imports of fish oil, fish meal and other aquatic animal proteins are met. Upon approval, the SIP will add the facility to the list of approved facilities provided to AQSIQ. Facilities wishing to export fish meal, fish oil, and other aquatic animal proteins to the PRC must be under contract with SIP for at least 3 audits per year (for facilities storing product in bulk and exporting product outside of the fishing/production season the following is recommended: 1 audit prior to start of fishing season; 1 audit during the fishing season; and 1 audit after the close of the fishing season). SIP regional offices and auditors will assure that all facilities are in compliance with AQSIQ requirements as well as the SIP Hazard Analysis Critical Control Point (HACCP) Program and Quality Management Program (QMP). The facilities management controls and responsibilities; feed safety programs; sanitation and prerequisite programs; and quality systems will be audited according to the Policies, Procedures, and Requirements for the Approval of Facilities and Systems (available on the SIP website). During each audit, a minimum of 5 verification samples collected randomly from multiple lots of finished product will be collected aseptically by SIP auditors and sent to the National Seafood Inspection Laboratory for Salmonella, Enterobactericeae, and Total Plate Count analyses. Laboratory results from third party and in house laboratories will also be reviewed to determine compliance with the hygiene standards set by AQSIQ. Product for export to the PRC must be in compliance with the PRC Hygiene standards listed below and be tested at the frequency indicated. These tests may be performed by a third party laboratory that has been recognized by the National Seafood Inspection Laboratory as a laboratory accredited against ISO standards for the specific analyses being performed. Note: As long as the oil has been properly heat treated and processing CCPs are met, microbiological testing of oil is only required for facilities with the intent to ship oil to the European Union. Testing for ruminant protein: For facilities that handle only fisheries products, PCR testing (by a laboratory approved by APHIS) for ruminant protein will be required annually. For facilities that handle other animal proteins as well as fisheries products, PCR analysis for ruminant proteins will be required for each shipment of fish meal to the PRC. A list of FDA Regional Laboratories may be found at http://www.fda.gov/ICECI/Inspections/IOM/ucm124067.htm. Verification testing for aquatic animal diseases and BSE will be done by USDA/APHIS approved laboratories http://www.aphis.usda.gov/animal_health/lab_info_services/approved_labs.shtml and http://www.aphis.usda.gov/animal_health/nahln/labs.shtml. Raw materials used to produce fish oil, fish meal or other aquatic animal proteins may be aquatic animals caught in domestic waters or in the open sea; aquacultured animals; or by-products from plants manufacturing aquatic products for human consumption. Aquatic animals killed for disease eradication cannot be used as raw materials. The product must not contain any ingredients of non-aquatic animals and must not be contaminated by any products of animal origin from third countries. Each shipment must be accompanied with an original health certificate. Export certificates for product to be exported to the PRC will only be issued by SIP if the facility is approved for export based upon compliance with PRC requirements as indicated by audit reports and laboratory testing results. The request for inspection and results from third party laboratories must be submitted via email to NMFS.SI.Fishmeal@noaa.gov prior to any export documentation being issued. All laboratory results and audit reports will be reviewed by the SIP Regional Office responsible for issuing export certification to verify compliance with all PRC and SIP requirements. Obtain the appropriate laboratory analysis for shipment. Verification that each shipment meets the import country regulations will be done by SIP prior to issuance of the export documentation. Obtain and complete the Request for Certification / Fishmeal Exports (available online or from the local SIP inspection office. Allow up to 72 business hours for completion of documentation. All certificates will be delivered overnight via UPS unless otherwise noted. * n = number of samples to be tested; m = threshold value for the number of bacteria; the result is considered satisfactory if the number of bacteria in all samples does not exceed m; M =maximum value for the number of bacteria; the result is considered unsatisfactory if the number of bacteria in one or more samples is M or more; and c = number of samples the bacterial count of which may be between m and M, the samples still being considered acceptable if the bacterial count of the other samples is m or less. ** Not required for wild caught fish. Annually for aquacultured fish. Only the agreed NOAA/SIP Columbia Export health certificate will be acceptable for US fishery product exports to Colombia. This SIP certificate has the HACCP attestation among others required by INVIMA. NOAA SIP will NOT be issuing HACCP attestation letters and FDA Free Sale certificates are NOT accepted by INVIMA. All fishery products processed in the USA are eligible to receive the approved certificate when the facilities are in good standing with the US FDA. By regulation all seafood is processed in the USA is under FDA HACCP systems. It is NOT a requirement of INVIMA that US processors be a participant in the USDC Approved Facility Program. For foreign product, our SIP inspector must conduct a traceability audit to identify the overseas plant. The plant must be “endorsed” by the Competent Authority as adhering to HACCP. (This can be done in a variety of ways, such as by certificate from the Competent Authority or facility listing on the EU Approved List) Endorsement is not limited to the above examples and may include other appropriate methods. Other private 3rd party endorsements are not acceptable. Each consignment must be certified by NOAA SIP on the basis of “a passed lot inspection or product processed under validated/approved QMP system”. Imports of fish products, excluding canned fish, are subject to inspection by the Veterinary Service, Department of Agriculture, prior to entry. Tolerances or Guidelines - None specified. Fish and fish products exported to Costa Rica require a Costa Rica Export Health Certificate. Exporters should contact the issuing authority for United States, USDC NOAA Seafood Inspection Program, prior to export to arrange certification. Senasa (Servicio Nacional De Salud Animal of Costa Rica) requires all processors of product for export to Costa Rica complete a questionnaire to obtain approved establishment status. US processors can obtain the questionnaire by contacting Victor Gonzalez, Agricultural specialist with USDA FAS. To access the current approved establishments list, go to the link below and choose “Establecimientos habilitados” (approved establishments), at the end of the page. When the document is unloaded in excel, choose the tab “USA” and then choose “Producto: pesca y acuicultura”. Processed fishery products are subject to specific labelling and marking requirements. Registration of labels may be required prior to exportation to Costa Rica. Name of the country of origin, names and addresses of the manufacturer or exporter, and the Cuban importer must be shown on the package. Weights and measures must be in metric units. Dominican Council for Fisheries and Aquaculture (CODOPESCA) Law 307-04. The authority does not require that the SIP verify that labels conform to regulatory requirements set by the Dominican Republic. The following is provided for information only. Exporters should confirm that labels satisfy all regulatory requirements before shipping. Imported fish products must be marked indelibly and legibly, showing measures or gross and net weights in metric measures and the country of origin. The importer must obtain a license prior to importation. Exporters are advised to verify requirements with the importer. Certification Requirement - None specified. Fish and fish products exported to El Salvador require a General Export Health Certificate. Exporters should contact the issuing authority for United States, USDC NOAA Seafood Inspection Program, prior to export to arrange certification. All exporters must be either registered with the Ministry of Agriculture (MAG) or have USDC Approved Establishment status to obtain certification. All US harvested and processed products are accepted for certification and export to El Salvador. In addition, foreign sourced product eligible for exports if processed in the US to the extent of an HS code change. Foreign sourced product that has not been processed (no HS code change) in the US is NOT eligible for export to El Salvador. These instructions establish and implement a procedure which will assure national uniformity in the completion and issuance of the USDC SIP Export Health certificate unique to the product and shipment to French Polynesia for computer-based certificates. The Exporter should consult with the importer on current specific requirements. The bilingual Health Certificate French Polynesia is used for certifying fresh and saltwater fish and their spawning products, crustaceans, mollusks and other aquatic invertebrates intended for importation. Completing the Export Health Certificate: The certificate is prepared by transferring to it the pertinent information taken from its accompanying request and observations made during the inspection. In the case of HACCP QMP facility, the information will be provided by the requesting firm. All certification should be done via the NOAA SIP online certificate system. Only as an option when the system is down or unavailable is a PDF version issued. The directions below are guidance for both the system completion and the PDF certification for information required in fields located on the documents.